Assassins! Knights! Revenge! 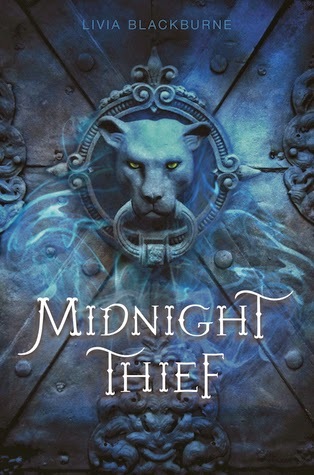 I am loving the sound of Midnight Thief! Granted the hints of a budding romance gave me pause - but if it's done right it could add another layer to this adventure. I also think it's great that both Kyra and Tristam have their own separate agendas from the start and end up uniting despite themselves. This could be truly brilliant! Yes! I agree! Can not wait for this one, I even posted this one before for my WoW!!! The story definitely is right up my alley! It has every thing I love!! Hurry up July!!! I'm reading Grave Mercy at the mo, and it involves assassins, too, so count me in for this one! Ooh, I like the sound of this one!! Gonna add it to my wish list. YES YES AND ANOTHER YES! I can't wait for this one either, if you couldn't tell :) Great pick! Oh this is a first and the cover is... yeah. Thanks for sharing and stopping by!